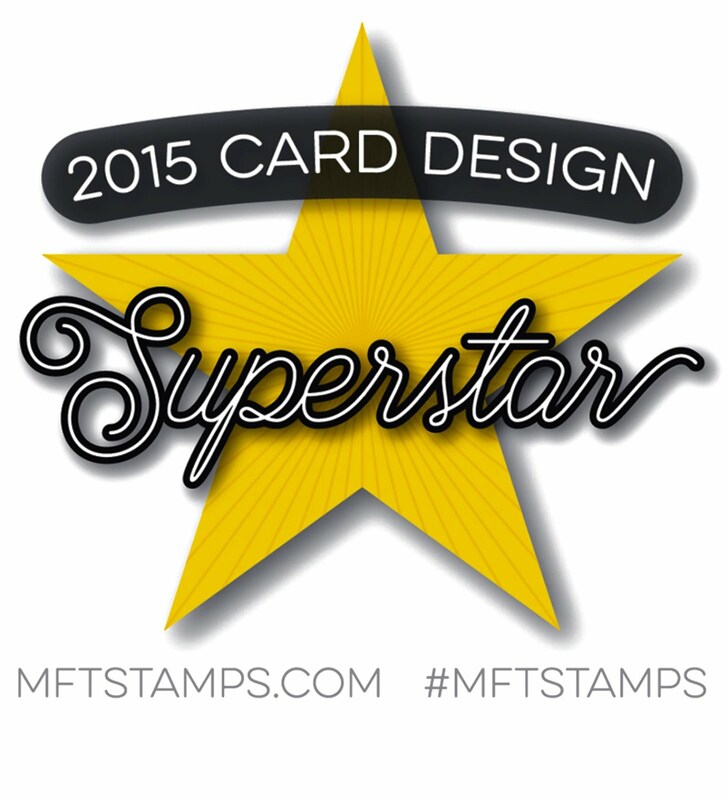 This is a weeny, uber-quick 4x4 inch card. 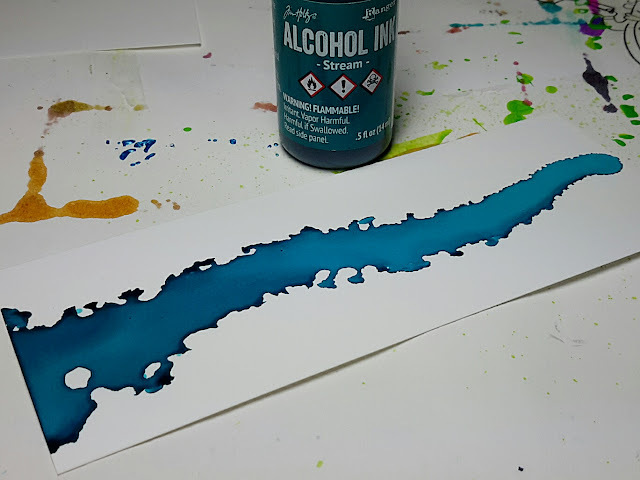 I started with a piece of left over 110gsm Yupo (a cut off from a larger piece) & swished a wobbly streak of Stream across the paper. ...then repeated it one more time and my mini ocean was complete. 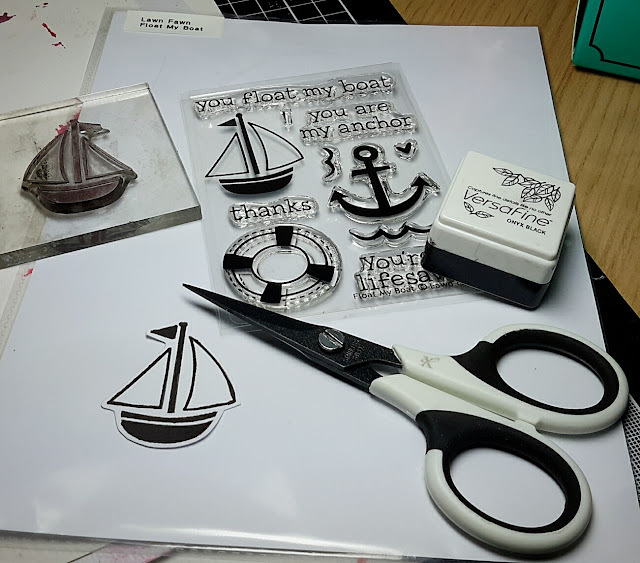 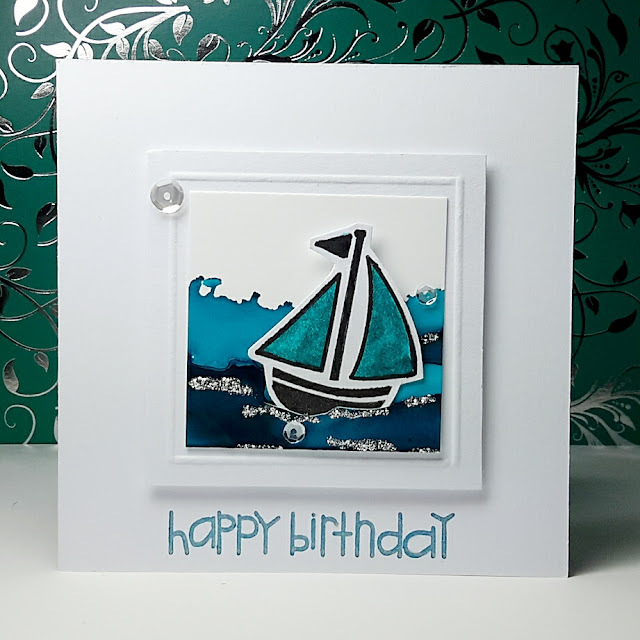 On a scrap of white card I stamped this sweet little sailboat from Lawn Fawn's 'Float My Boat' and cut it out. 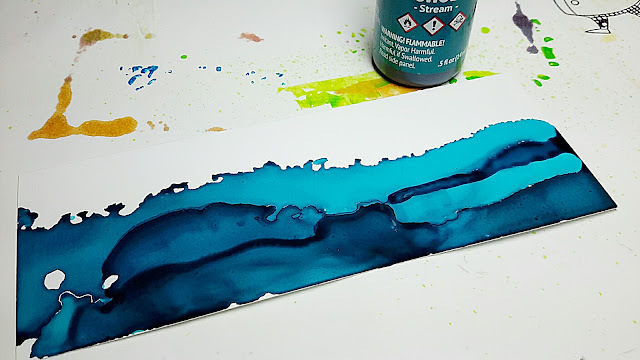 I then cut a 2x2 inch square section of my mini ocean and, with a craft cutting blade, made a cut along the top of one of the waves. I coloured my sailboat with a Zig marker and slipped the boat into the sliced section. I then mounted the Yupo onto another scrap of card, gave it an embossed frame and then stuck the whole thing with foam pads onto my tiny card. 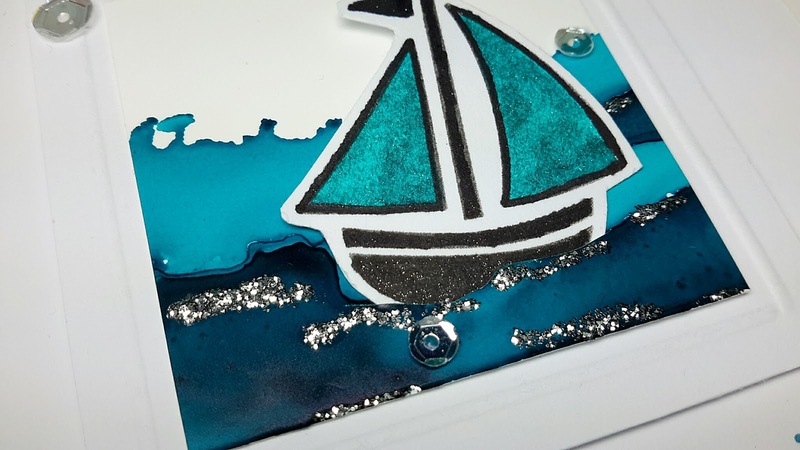 As per, a few essential sequins, a sentiment from Paper Smooches, a hint of silver glitter and this card was finished. 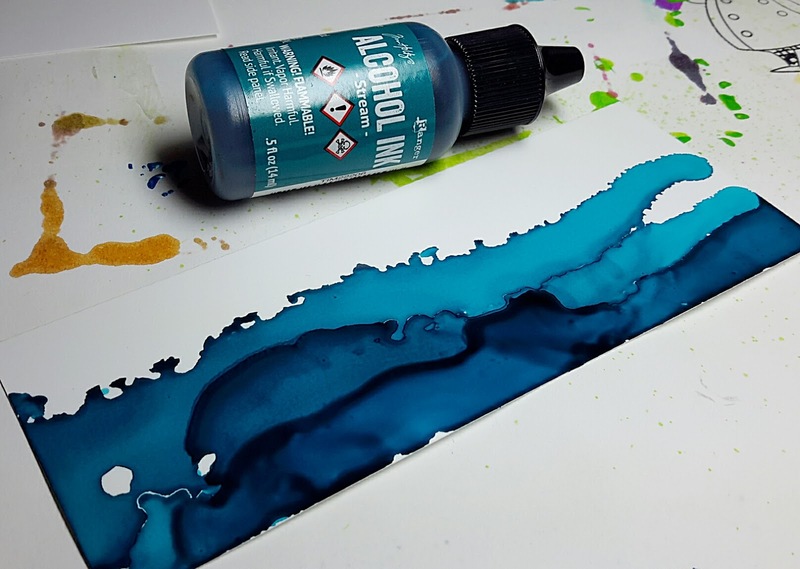 Thanks for stopping by and don't forget to let me know if you're playing with alcohol inks.